Life is Strange 2: Episode 2 – Rules is an action-adventure video game developed by DONTNOD Entertainment & published by Square Enix. Life is Strange 2: Ep. 2 - Rules was released for PC, PS4 & Xbox One on 24 January, 2019. We have added everything we know in Life is Strange 2: Episode 2 – Rules review including its story, gameplay, release date, system requirements, trailers & playthroughs. The game is focused on the story of two brothers Sean & Daniel, who are escaping Seattle after a strange incident happened & a cop died. Daniel barely understands his power & it is too dangerous to use them. It causes destruction whenever he uses them. Sean & Deniel are escaping the cops after a tragic incident in Seattle. Daniel discovers that he has supernatural powers in the first episode & now both of them are on the run. It is winter & they both struggle against the cold & Daniel gradually falls sick. Sean wants to take the risk & they both make their way to their distant grandparent’s home to get better & seek shelter. There they meet Chris who is the next door neighbor. Chris talks about his powers that are similar to Daniel’s & they come face to face with his superhero alter ego, Captain Spirit. Chris & Daniel becomes friends & now Sean must take care of Daniel so that he does not expose his powers in public. You can explore the environment & interact with the people. Your choices will be remembered & you will be in trouble if you make wrong decisions. You can control Sean & you must protect Daniel. Daniel must never talk about his powers. He must run from danger & he has to follow rules. It is now Sean’s responsibility to tell Daniel to follow rules. Can Daniel hide the truth from the public, will the temptation to discover the power within him be too much, or will he breaks the rules when he needs his powers. 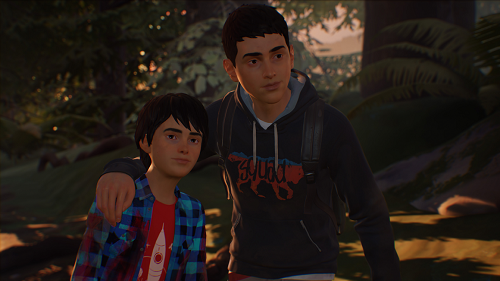 Life is Strange 2: Episode 2 - Rules will not run if your PC specs. 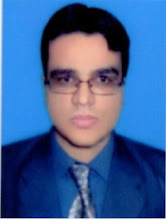 are lower than minimum requirements of this game. For best performance make sure your PC specs. are equal or higher than Life is Strange 2: Episode 2 - Rules' recommended requirements. 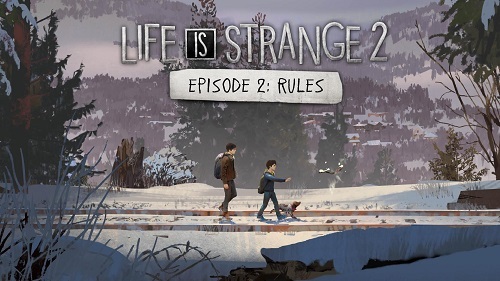 Watch Life is Strange 2: Episode 2 - Rules full game walkthrough. 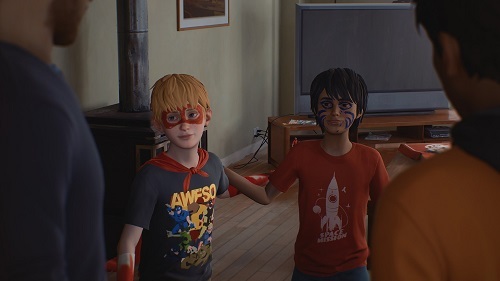 Check out Life is Strange 2: Episode 2 - Rules gameplay walkthrough that covers the complete game with all cutscenes, & ending. Watch Life is Strange 2: Episode 2 launch trailer. Take a look at Life is Strange 2 Episode 2 release date trailer.